You are here: Home Health Tips Make your own drinks! Comments Off on Make your own drinks! Shop-bought drinks? They’re not a patch on anything you can make yourself, says Susy Atkins. In an extract from her new book she explains how easy and rewarding it can be, and gives five fabulous recipes. Chin-chin! If you care about using natural, fresh ingredients in your cooking, why put up with awful shop-bought drinks? The usual trip up the drinks aisle is pretty unappetising these days (apart from table wines), with rows of cheap, bland spirits, sickly commercial liqueurs and fiercely fizzy, lurid ‘soft’ options. There are exceptions of course, but high-quality labels are rare, and they can be horribly expensive. So let’s make our own drinks out of natural, fresh â€“ and often free â€“ ingredients, just as we do when cooking food. Ingredients that are properly in season will taste fresher, ‘truer’, better all round â€“ even if you are buying in the crops from a large shop rather than growing your own. 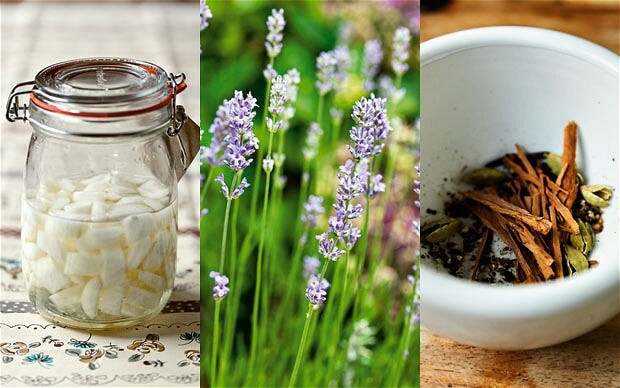 I’ve used home-grown, foraged or locally sourced, cheap ingredients to create some tempting drinks recipes â€“ and how delicious they’ve turned out to be. All of these can be made in a ridiculously short time and are quite delectable.